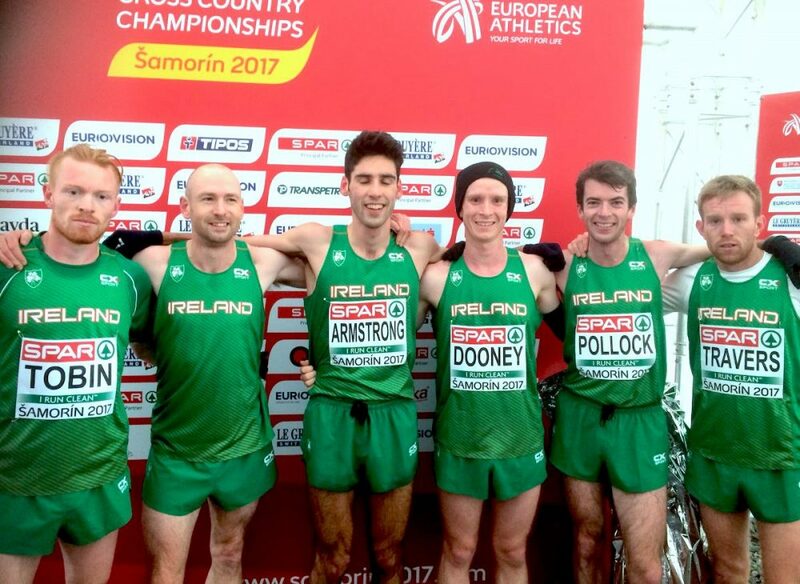 A fighting fifth place for the senior men’s teams was the highlight for the Irish at the European Cross Country Championship held on a bitterly cold day at Samorin, Slovakia. Sean Tobin 15th and Hugh Armstrong 19th, both aged 23, showed that a new generation of Irish distance running is coming to the fore, while demonstrating that the more mature athletes aren’t finished yet, Kevin Maunsell, aged 36, finished third scorer for the team in 24th place. All three were making their senior Irish debuts. It meant that the Irish men ended up just two points behind France and within a whisker of a medal. The Turkish team beat Spain for the title by four points; Great Britain, led by bronze medal winner Andy Butchart, was third. After the early scramble, the three Irish placers had run together with only six seconds separating them at the close. “We weren’t too far off the medals – and just a point or two behind France,” said a buoyant Hugh Armstrong from Ballina AC after the race. 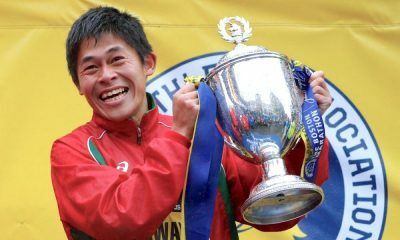 “We’re a fairly young team with Kevin and John Travers so hopefully we’ll be back and maybe win a medal,” he added. Sean Tobin had returned from the USA especially for the race. “There were points when I was struggling and the boys would pull me along. We were constantly helping each other. 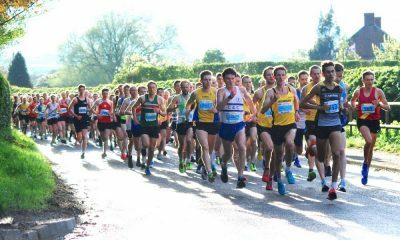 If we can keep this group energy going and get groups training together, we can really take a step forward in Irish athletics,” said Tobin who, like Maunsell, is a member of Clonmel AC. In the women’s 8km race, Fionnuala McCormack was making a record 15th appearance at the championships. She ran a typically gutsy race to finish 12th in a time of 27 minutes 48 seconds – exactly a minute behind the defending champion Yasemin Can, the Kenyan who runs in Turkish colours. 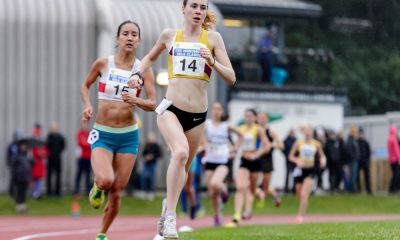 Failing to make the top 30 by only 11 seconds was Irish champion Shona Heaslip (recent interview with Fast Running can be found here), another 23-year old with a bright future. She finished 34th – one place behind Meryem Akdag, who took a silver medal in Turkish colours last year and was briefly second behind Can in the early stages of the race. Like in the men’s race later on, age and experience told for Kerry O’Flaherty, who was the third counter for the Irish team finishing four seconds behind Heaslip in 38th place. Showing how tight the competition was, only 19 seconds separated the next four Irish finishers – Michele Finn 40th in 28:29, Fionnuala Ross 47th in 28.53 and Lizzie Lee a second behind for 49th. The Irish team finished seventh, with Great Britain, led by individual winner Harriet Knowles Jones taking gold. Finishing 22nd in the men’s U20 race was Fearghal Curtin with the team 10th. In the women’s Under 23 race, Bethanie Murray was 38th, while in the men’s U23 race, Eoin Struff of Raheny Shamrock was 49th and Tom O’Keeffe from North Down 60th. Senior Women: Yasemin Can (Turkey) 26.48… Irish: 12 Fionnuala McCormack (Kilcoole AC) 27.48, 34 Shona Heaslip (An Riocht) 28.31, 38 Kerry O’Flaherty (Newcastle and Dist) 38.35, 40 Michele Finn 9Leevale) 28.39, 47 Fionnuala Ross (Armagh AC) 28.53, 49 Lizzie Lee (Leevale) 28.54. Teams – 1 Great Britain 23, 2 Romania 31, 3 Turkey 54 – 7 Ireland 84. Teams – 1 Turkey 17, 2 Spain 20, 3 Great Britain 35, 4 France 56 – 5 Ireland 58. U23 Men: 1 Jimmy Gressier (France) 23.35 – Irish: 49 Eoin Strutt (Raheny Shamrock) 25.43, 60 Tom O’Keeffe (Kilkenny City Harriers) 25.58. U20 Women: 1 Harriet Knowles Jones (GB) 13.38… Irish 10 Sophie Murphy (DSD) 14.15, 27 Stephanie Cotter (West Muskerry) 14.35, 34 Jodie McCann (DSD) 14.43, 39 Laura Nicholson (Bandon AC) 14.47, 62 Fiona Everard (Bandon AC) 15.11, 72 Fian Sweeney (DCH) 14.22. Teams – 1 Great Britain 21, 2 Italy 33, 3 Spain 47 – 7 Ireland 71. U20 Men: 1 Jakob Ingebrigtsen (Norway) 18.29 – Irish: 22 Fearghal Curtin 19.08, 37 Craig McMeechan (North Down) 19.30, 38 James Edgar (City of Lisburn) 19.31, 39 Darragh McElhinney (Bantry AC) 19.32, 41 Charlie O’Donovan (Leevale) 19.34, 49 Brian Fay (Raheny Shamrock) 19.42. Teams – 1 Spain 20, 2 France 27, 3 Turkey 49 – 10 Ireland 97. Clonliffe’s David Flynn was the winner of the Aware 10km in Dublin’s Phoenix Park on Saturday, December 9. His time of 32 mins 19 secs saw him finish well over a minute clear of Karol Cronin from Sportsworld AC who crossed the line in 33:38. First woman was Ruth Kelly of Sportsworld in 40 mins 8 secs. A total of 827 finished the race. Full result can be found here. Niall Sheil of St Killian’s AC won the Clonakilty Waterfront Half Marathon in 75 mins 5 secs. Ellen Hanley was first women in 91 mins 39 secs, with 748 finishers. Cathal O’Donnabhain in 34:36 and Carmel Crowley in 39.32 won the 10km race. A total of 420 completed the marathon with Chris Greyson in 2:54.59 and Dolores Duffy of Watergrasshill AC in 3:14.35 the winners. Duffy was also first W50. Stephen Hunter of St Aabban’s AC in Carlow won the inaugural Ballyroan 10-Mile in Co Laois. He finished in 55 mins 48 secs, with David Murray of Tullamroe Harrers second in 56:25 and Com Burke of St Abban’s third and first M50 on 56.35. 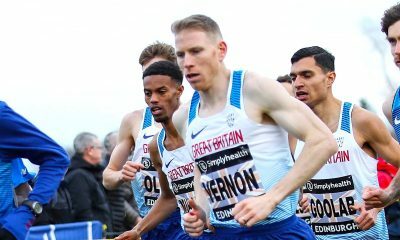 In the Canary Islands, Irish national champion Gary O’Hanlon retained his title at the Lazerote Marathon, winning in in 2:27.20 – nine minutes clear of second placed Che Compton of Great Britain in 2:36.30. Brian Hegarty was third in 2:38.45. David O’Flaherty was third in the half marathon in 72:31. Catch-up: Siofra Clerigh Buttner ran a time of 9:37.48 for third in the 3000m at the Jack Pyrah Invitational hosted by her college Villanova on Saturday, December 2. It was a first ever race over the distance for the Dublin athlete.